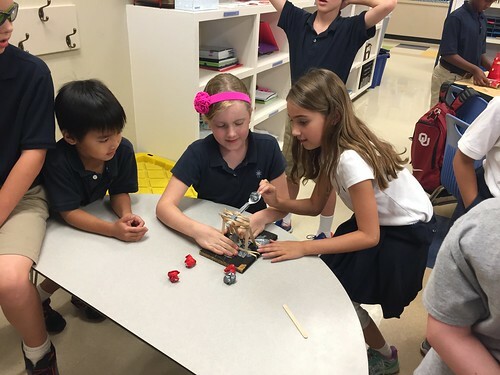 Yesterday in our Lower Division STEM Club students finished building their catapults and launched them for accuracy! 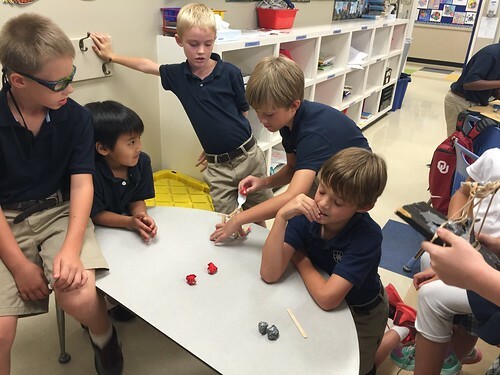 During the design and building process, students had lots of GREAT conversations about how they could refine and tweak their catapults to make them launch farther and with more accuracy. 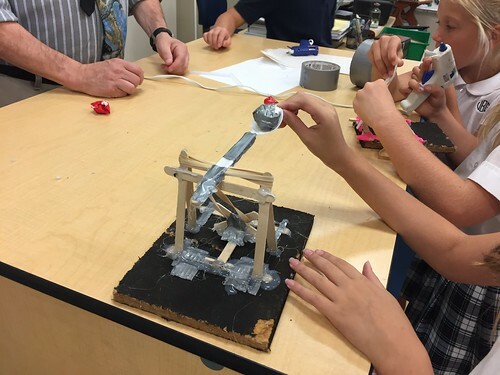 One student team used additional clothes pins to increase the angle of their catapult's platform to reduce the vertical trajectory and increase the horizontal trajectory. 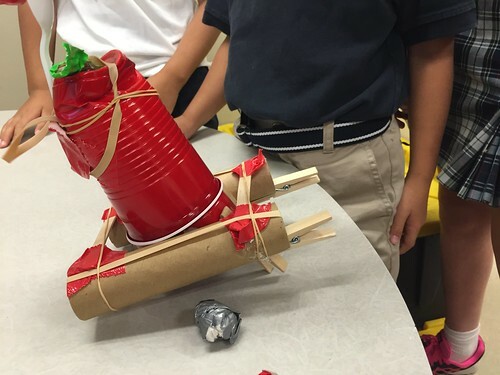 One of the best parts of STEM activities like catapult building is when students are faced with challenges like this, and get to come up with their own creative approaches and solutions! 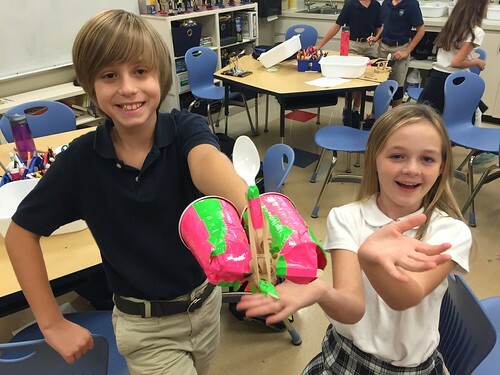 Students came up with many different and creative designs for their catapults. We did not have enough time to launch for distance this week, so we're going to keep the catapult prototypes in the classroom for now. After we spend a couple of weeks on MinecraftEDU building challenges, we will launch our catapults for distance and then let students decide (or figure out in a somewhat fair way, like "rock, paper, scissors" or a coin toss) who can take home the catapults. More photos from this week's catapult launches are available in our Flickr photo set for this STEM unit. 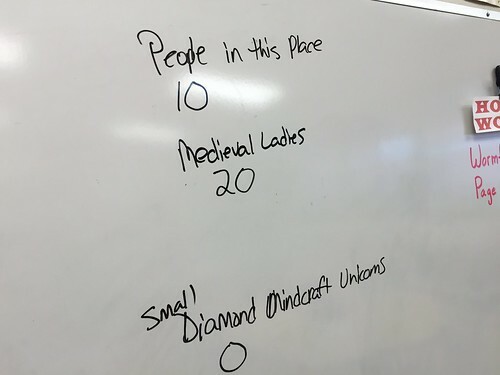 Congratulations to the "Medieval Ladies" group who earned the most points in our catapult accuracy launch competition! 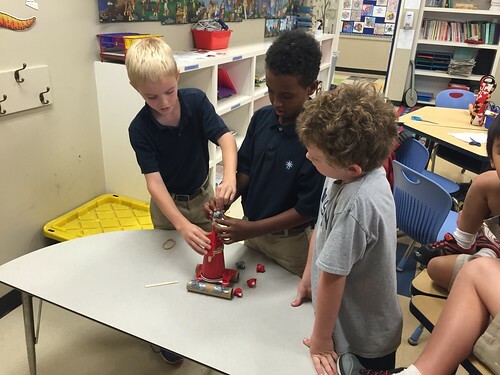 All the students were truly winners in this STEM activity, however, because everyone successfully collaborated, designed, build, and tested their ideas!